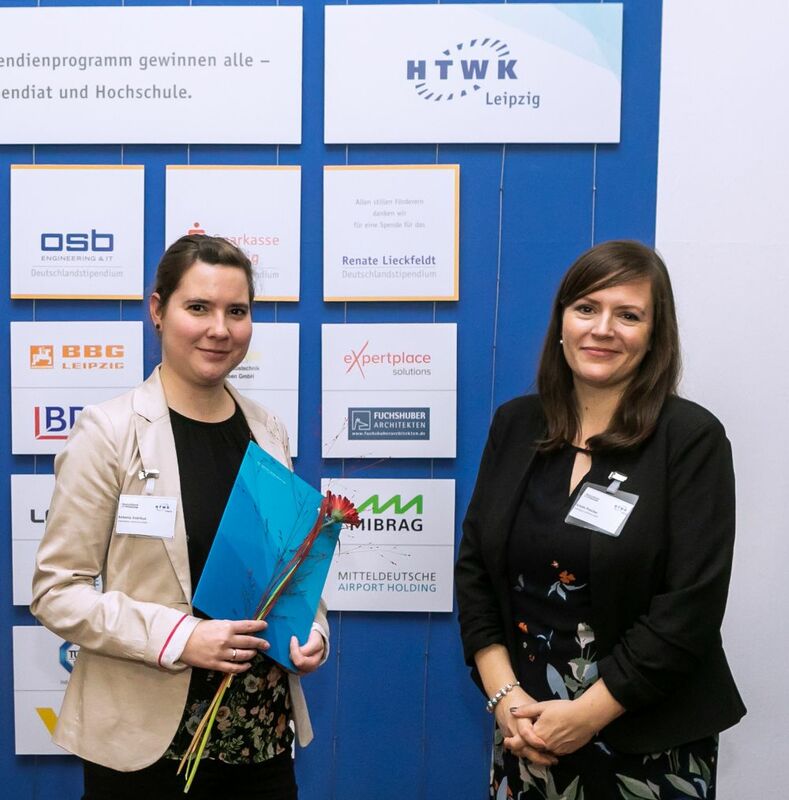 Leipzig, Germany, 01 November 2018 – On the evening of November 1st, 51 private funding agencies, including two representatives from expertplace solutions GmbH, were invited to the Geutebrück Building of HTWK Leipzig. They participated in the ceremonial handover of the scholarship certificates to 73 students who had excelled through extraordinary achievements and social commitment from 230 applications. Half of the 300 euros in the scholarship paid each month are provided by non-state sponsors and half by the federal government. It runs until the end of the standard period of study and is also awarded to foreign students. After the ceremony with speeches and music, students and sponsors had the opportunity to get to know each other in a relaxed atmosphere and, if necessary, to forge joint future plans. 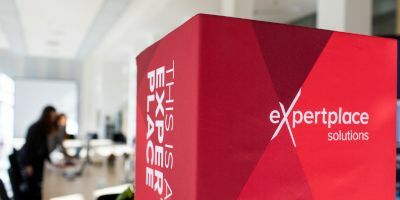 The scholarship holder from expertplace solutions GmbH uses the international orientation of HTWK for a study-related semester abroad in Scotland. For the following practical semester in Leipzig, expertplace solutions GmbH invites him to practical work as part of an internship or his thesis. Hello Tran Dong, how did you come to Media Informatics? Although I have been enthusiastic about computer science since my childhood, I still had doubts in which direction to go after my graduation. In addition to computer science, subjects such as psychology or even journalism came to mind. After a one-year compulsory self-discovery phase in Ireland, even environmental technology was added, which did not help with my decision-making problem. On top of that, the question arises whether I’m studying pure computer science, media computer science, at the University of Leipzig, the HTWK or even somewhere else? In the end, the ultimate main criteria for me, as cheesy as it sounds, was simply to follow my heart – and I think that was a good decision. How did you become aware of the Deutschlandstipendium? During my schooldays, I already received a scholarship from the START Foundation, which was advertised for high-performing and socially-motivated immigrant students. Towards the end of school, there was a strong emphasis on the possibilities of scholarships during their studies. This was the first time I heard about the Deutschlandstipendium. The second time was during my studies, when a fellow student and very good friend herself did a bit of advertising as a scholarship student and encouraged me to apply – and that’s how I slipped! Why did not you apply for a scholarship at the beginning of your studies? Since I took a break from learning for the time being and was very focused on volunteering abroad, unfortunately I missed all deadlines for a potential scholarship for the first semester. Added to this was my plan to get back to learning in the first few semesters and, for the time being, to put my social commitment into the background, which diminished the chances of many scholarships focusing on it. What do you expect from the Deutschlandstipendium? On the whole, I hope the Deutschlandstipendium will do three things: relief, networking and opportunities. Relief, as I have to worry less about a financial cushion as I “make ends meet” or pay back the BAföG loan. Networking, because I am looking forward to getting to know a variety of colorfully mixed scholarship holders from all directions, but above all to meet my sponsors of expertplace solutions GmbH in person. But perhaps the most important thing I hope for are possibilities. Opportunities to participate in internal or external projects to make a difference directly. Opportunities to exchange knowledge and experiences to broaden my horizons, or opportunities to participate in a variety of events – in short, opportunities that would not exist without the scholarship. According to the Federal Ministry of Education and Research, students with a migration background perform slightly above average in the Deutschlandstipendium. 16 universities in Saxony alone are participating in the program this year, a great success for the initiative, which started in the summer semester of 2011. Would you like to study in Germany with a scholarship? Find out about the Deutschlandstipendium.